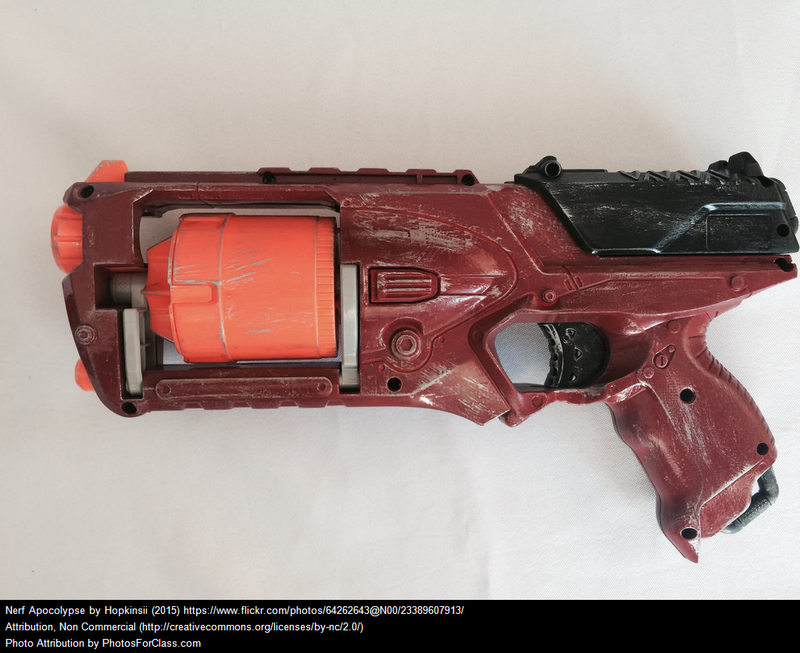 What in the world would put Nerf guns and autism in the same blog post? SENSORY INPUT! There's so much sensory goodness in a good ol' Nerf gun battle, and I think they're grossly under utilized! Mr. B loves his Nerf guns. Just the other day he waged an all day, all out war against me with a Nerf...rifle type gun. His sitter got him 1.5million (ok, ok, it's like 100-200) Nerf dart bullet things (WHAT ARE THEY CALLED?!) so he was a well stocked sniper. I ended up locking myself in the bathroom, thinking I was safe, when all of a sudden a Nerf barrage started hitting me from underneath the door. I had to get into the tub to avoid being caught in the crossfire! But all of this Nerf warring led straight to a lot of laughing, and sensory stimulation-which in turn led to a more well rounded Mr. B later that evening. - Nerf gun wars bring on a lot of excitement, energy, laughs, and a feeling of expectation when you are just waiting to be caught or hit. All of these are great therapy for kids with autism. It's a great way to teach cause and effect, anticipation, and even social skills. They are much more likely to talk when their sensory tanks are being filled in meaningful ways, especially when there's a highly sought motivating factor. For Mr. B it was hitting me with the Nerf barrage, so he was more communicative, and really used a lot of good words to try to convince me to exit the bathroom. -Nerf guns provide an energy outlet. I think this pretty much goes without say. The kid was EXHAUSTED! -Nerf guns provide creative and critical thinking, and strategic thought processes. He had to plan a strategy to try to get me. He had to think critically about cause and effect to lay out a creative and clever plan to trap me so that he could get me with his Nerf gun. All in all, I think we need to utilize the likes of Nerf guns a little more often, and I think Mr. B definitely agrees!